The new year will begin with a "careful evaluation" of how the federal judicial system handles sexual misconduct allegations, Supreme Court Justice John Roberts said Sunday. In his annual year-end report on the federal judiciary, Roberts recalled the recent flood of workplace-related sexual harassment claims and said: "Events in the past few weeks have made clear that the judicial branch is not immune." A prominent federal judge, Alex Kozinski, announced his immediate retirement two weeks ago after The Washington Post reported that 15 women said he'd made lewd comments and touched them inappropriately. "I may not have been mindful enough of the special challenges and pressures that women face in the workplace," Kozinski said in a statement. "It grieves me to learn that I caused any of my clerks to feel uncomfortable; this was never my intent. For this I sincerely apologize." Roberts said the evaluation would determine whether the court system's standards of conduct and procedures for investigating and correcting inappropriate behavior were strong enough. He added that a working group would consider possible changes. "These concerns warrant serious attention from all quarters of the judicial branch," he wrote. 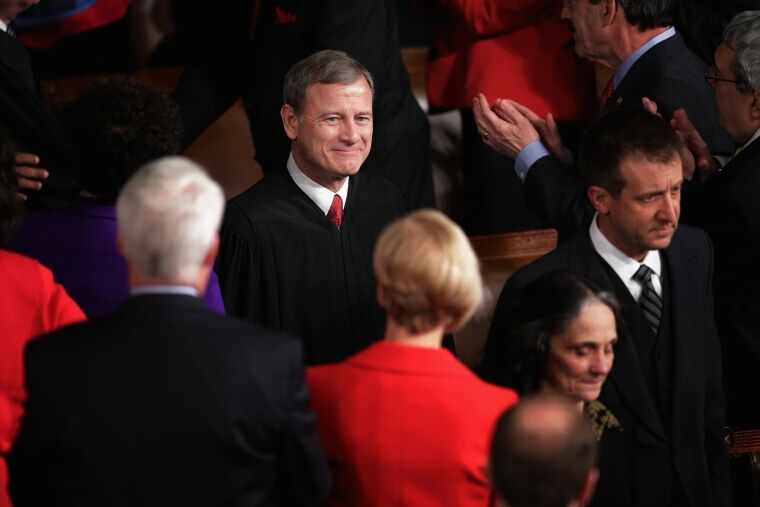 "I have great confidence in the men and women who comprise our judiciary. I am sure that the overwhelming number have no tolerance for harassment and share the view that victims must have clear and immediate recourse to effective remedies."